We have a good news for Physically disabled gamers who love playing on Xbox one. 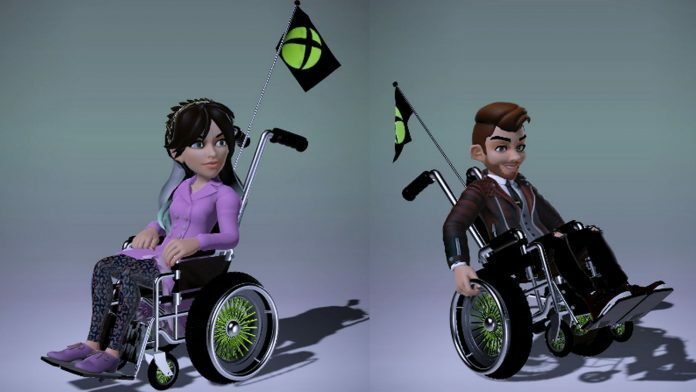 Microsoft Corporation has finally announced that it is adding wheelchair options for its Xbox avatars. The company’s Xbox head, Phil Spencer was questioned on Twitter regarding disabled avatars using wheelchairs, so in response to the same, he said the company was thinking about something like this. Soon after that Mike Ybarra, head of the Windows and Xbox Program confirmed that the wheelchair option by posting pictures of two avatars – a man and woman straddled in Xbox One-themed wheelchairs. The availability of the option is not yet announced but in the month of June, it was announced that Xbox would receive a major update in August. So, it is expected around the launch of the new Xbox One S.
Looking back Microsoft first introduced Xbox avatars on Xbox 360 in the year 2008. It supported customization of avatars with a variety of hairstyles, clothes and accessories which also includes branded content from avatar and other stores.